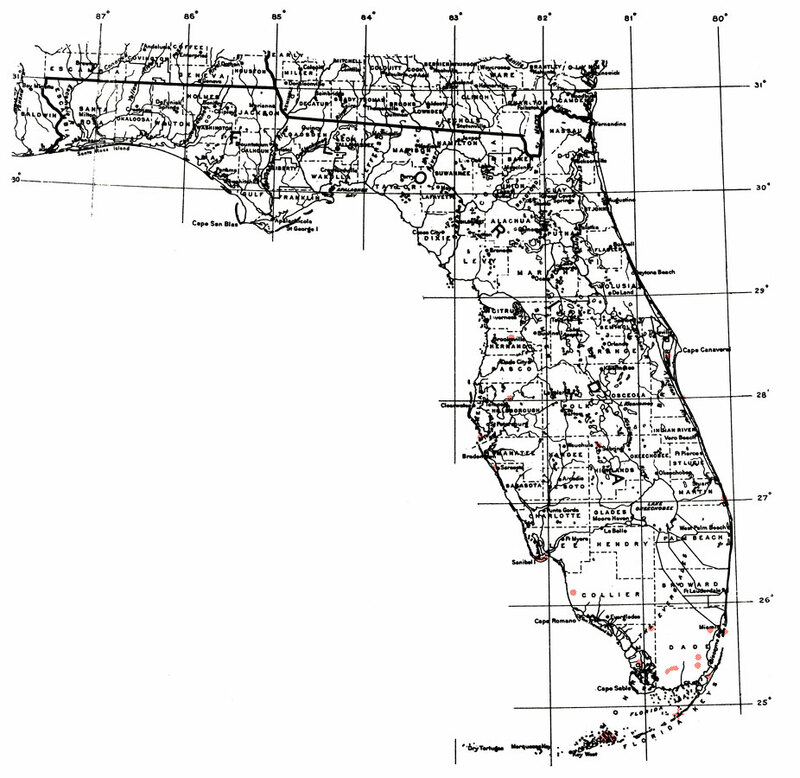 Description: This is a map showing the distribution of the Dodonaea viscosa or hopbush in Florida. "Local in s. Florida including Fla. Keys and along coasts n. to c. Florida. A shrubby var. in c. and s. Arizona. Also in Hawaii. Widespread incl. several vars. through tropics in both hemispheres. Bermuda and from Bahamas through West Indies incl. P.R. and V.I. From n. Mexico s. to S. America." —Elbert L. Little, Jr. For more information, read the introduction to the Atlas of United States Trees Vol. 5 Florida.